Hi to all, this circuit is my homework maybe, I always short in observe the circuit, but I'm really want to understanding .So please check my understanding of the components http://www.kynix.com...COMPONENTS.html in the following guitar pedal audio circuit and elaborate/ fill in missing knowledge where necessary. 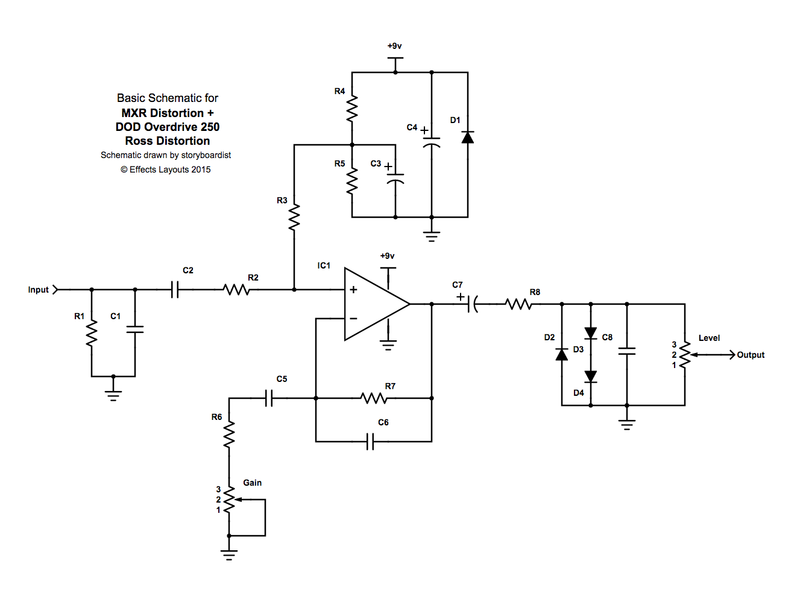 R4 and R5 provide a DC-offset for the single supply circuit. R7 // C6 in conjunction with C5, R6 and the potentiometer set the gain. Shouldn't C5 and R6 be reversed to prevent the DC building up at the inverting terminal of the op-amp? Does this influence build-up of charge & thus saturation? Power stabalisation - issues will occur due to C3, C4 and C5 when powering on the circuit. A number of seconds will elapse before the circuit is ready to use at nominal DC bias and gain. It has been years since I had to use my brain and think about what all those components do.